I have been asked: which museums should you see in London if you are only visiting for a weekend? And while I love art, anything more than one museum a day makes it difficult to fully absorb and appreciate everything that you have seen. There are a lot of great museums in London. How did I narrow it down to two? Well, for one, the British Museum is tainted for many due to its colonialist foundations and attitudes. Much of the collection originates from other cultures, and there have been refusals from the museum to return many of the pieces to their rightful owners. Its mission seems out of touch with the rising social awareness of our post-imperial world. So that museum is off the list. What’s left? My two favorite museums are quite disparate—in architecture, art periods, and general function—but together they serve as cultural institutions that allow the public to appreciate and learn about important art. Regarding the most respected and established art museums, it’s usually between the National Gallery and the Tate Britain. I believe the National Gallery’s classical offerings and stunnng architecture make it the ultimate time-honored museum of London. The Tate Britain (with British art going back to the 1500s) heavily features J.M.W. Turner paintings—a significant figure in British art history and deserving of acclaim—but the National Gallery does a better job of displaying a more comprehensive history of European art (from the 13th century to 1900). You could say it’s what the Musée du Louvre is to Paris or what the Metropolitan Museum of Art is to New York. Firstly, it is located on the iconic Trafalgar Square, which just screams relevancy. The building is Parthenon-like and sits atop the massive square’s steps. The interior is just as impressive. There are unique rooms including marble columns, massive archways, and paintings arranged in a salon-like fashion. 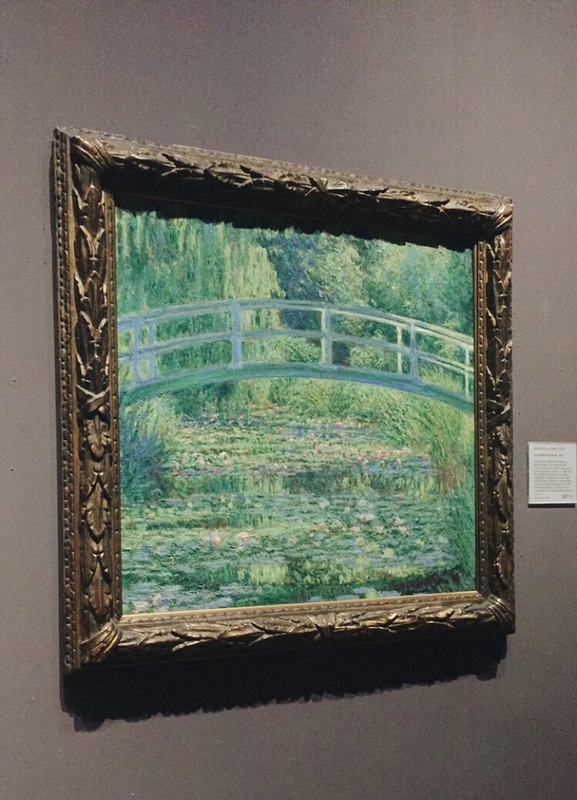 The museum’s collection features over 2300 paintings, which range from Renaissance to Post-Impressionism. The 15th century art and was among my favorite, including artists such as Jan Van Eyck and Sandro Botticelli. If you studied art history, you will observe much of the works probably included in some of your exams. An important critique: The National Gallery needs more women artists. There are only 21 paintings by women in the entire collection, which is problematic for so many reasons. The museum began the hashtag #paintingherstory to tell the stories of the women featured in the museum’s collection, and acknowledge their contributions to art history. The initiative is great, but hopefully this results in long-term outcomes, with more women featured in the permanent collection. My absolute favorite museum in the city. It may be my penchant for modern and contemporary art, but I feel that the Tate Modern is the most exciting and progressive major museum in London. It’s the contemporary counterpart to the Tate Britain, featuring international works from 1900 to the present-day. The museum overlooks the Thames River and is a converted power station, hence its brick/steel exterior, giant chimney, and blocky stature. The building features a turbine hall, which is now renowned for its captivating installations. Olafur Eliasson’s 2003 Weather Project comes to mind. Some memorable experiences at this museum: the dimly lit room with Mark Rothko paintings that forced me to sit and contemplate for 15 minutes. Plus, a super interesting video on how museum conservators preserved his works. Seeing a room full of Gerhard Richter’s abstract blur paintings. An international exhibit on Pop Art that excluded Andy Warhol for once. Jenny Holzer, Guerilla Girls, Sam Gilliam, Doris Salcedo. So many great female artists and artists of color displayed. 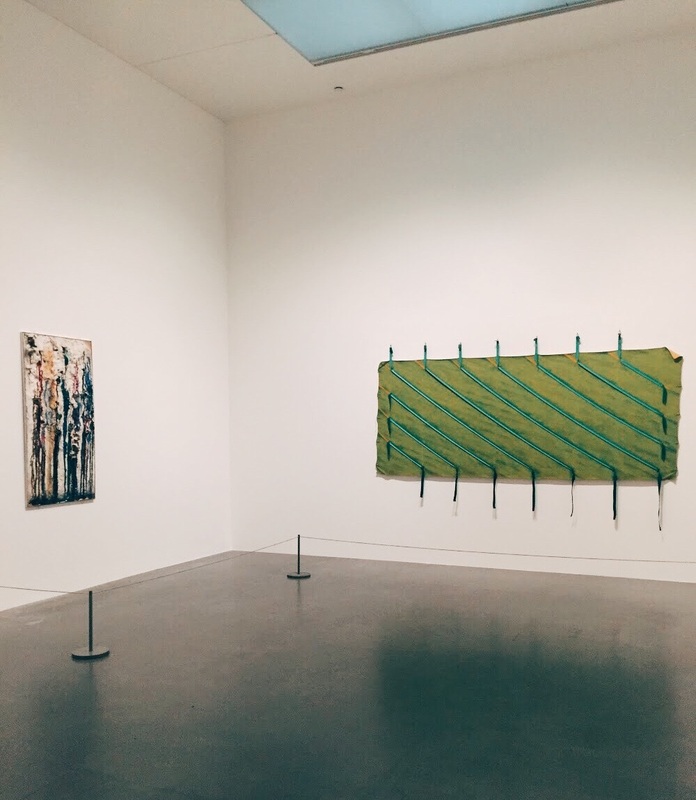 Tate Modern is also where I saw El Anatsui’s and Lygia Pape’s work for the first time. Ok, enough name dropping. The general organization of the museum is great, as it it sectioned by themes that encourage viewers to confront their ideas about art. Some galleries focus on cultural and societal context, some on material and form, and some on process and concept. The exhibitions put on by the museum are diverse, interesting, and important. For example, the Tate Modern exhibited Soul of a Nation: Art in the Age of Black Power, which later came to the United States via the Brooklyn Museum. Currently on display, that seems interesting at the Tate Modern: ARTIST ROOMS: Jenny Holzer, on view until July 7, 2019. And, Franz West, on view until June 2, 2019.